Astro Lighting Beam LED 4 light outdoor wall or ground fitting features a circular design dome shaped silver finish shade with semi circular white acrylic finish diffusers. 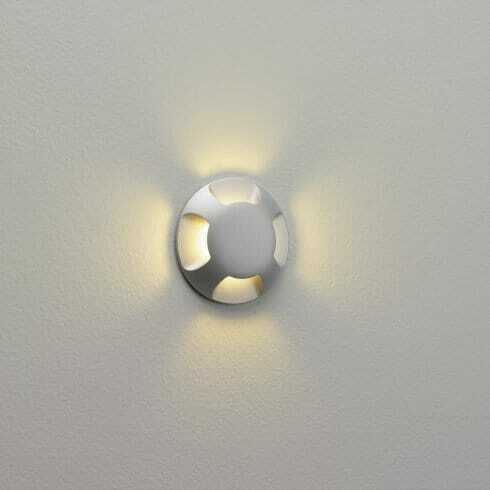 The product code for this Astro Lighting wall or ground fitting is 0939. A minimalist style which provides a multi-directional projection of warm white 3000k LED light and is IP67 rated making this a perfect choice for modern outdoor living spaces. The Beam range is available in a single or 2 light wall fitting which can be ordered from our website.